At SBR we provide interactive realtime court reporting compatible with all leading realtime software. 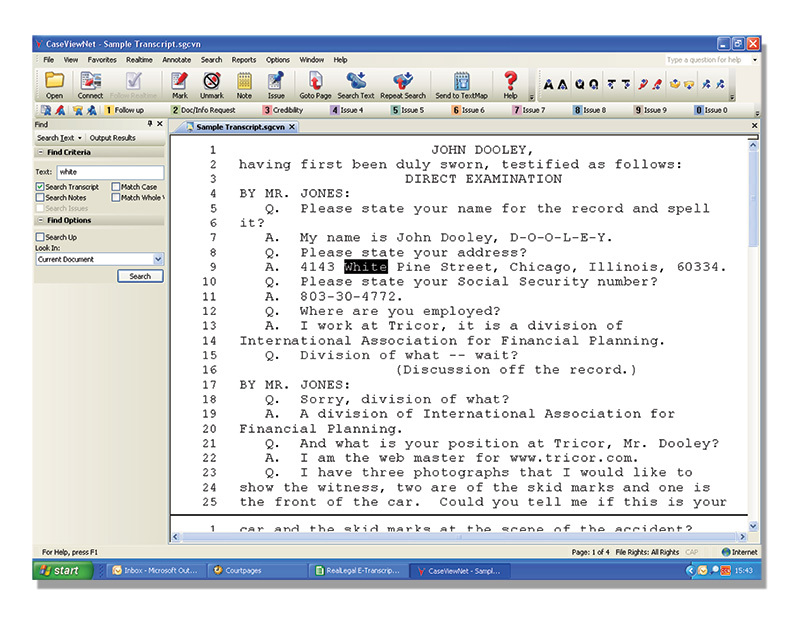 Attorneys can view the testimony instantaneously on their laptops or iPads at the deposition and/or arbitration. 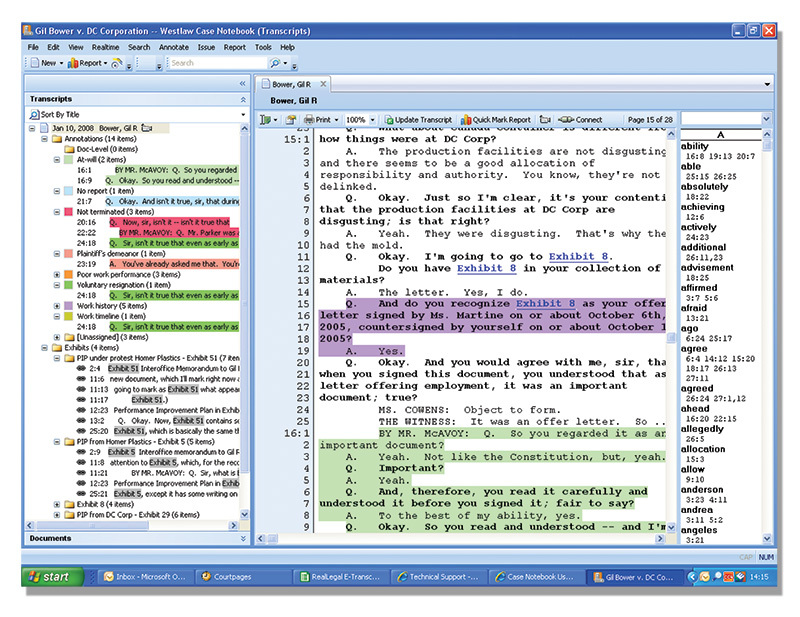 Attorneys with realtime software have the ability to create quick marks, annotate text, code issues, perform complex word searches, run reports, and much more. At the end of the day’s proceedings, we also provide a cleaner rough draft transcript via email in your specified format, preserving any quick marks, annotations, embedded notes and issue coding made previously, allowing for easy importation into all popular litigation support software.